After an unprecedented number of candidates and votes, the 2017 Student Government Association election cycle will end in multiple run-off elections. 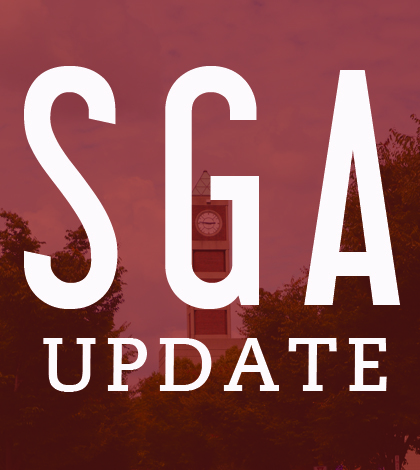 Vishnu Tirumala and Georgie Sook will face off for the office of SGA President. Karen Udoh and Tirumala’s running mate ,Sarah Love, will compete for Executive Vice President, and Jonathan Fuller and Kyle Hornback will compete for Academic Vice President. Chris Bird won Services Vice President as the only top four race without a run-off. SGA Chief Justice Sarah Pennington announced the run-offs and council results after SGA campaign hearings tonight. The court heard three cases, two involving the AVP race and one for the A&S President race. No sanctions changed the elections’ outcome. Myers filed two motions for campaign violations against Hornback and Jonathan Fuller. Myers’ legal counsel, Landon Lauder, said A&S Senator candidate Paige Goins illegally endorsed Hornback in a social media post, a violation which cost Hornback 1.5 percent of her votes. In the second motion, Lauder said the photo used to announce Fuller’s campaign was taken during an SGA-sponsored trip to Frankfort for Kentucky Higher Education Advocacy Day. The court did not sanction Fuller. In the third case, A&S Presidential candidate Michael Knopf said PEACC endorsed Rachel Roarx on social media, while Roarx said their RSO, PEACC People, actually endorsing her. U of L entities are not allowed to endorse SGA candidates on social media, but RSOs are. Roarx and her running mate, Mary Jane Shafer, were both sanctioned five percent. Run-off ballots will be open for voting until March 9 at 12:01 a.m. Results will be announced March 10 at noon.